Our Spring Sale is just over a week away! The sale happens April 27th and is open to the public from 10:30 am until 1:30 pm. 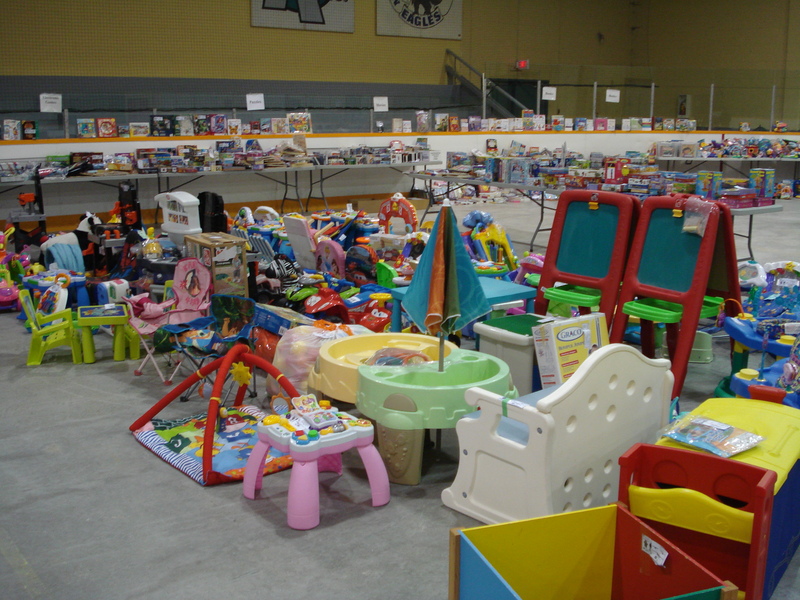 The sale is located at River East Arena, 1400 Rothesay Street. We are happy to accept both cash and debit! Our sale features multiple checkout lanes to get you through the payment line quickly. We have over 100 vendor families selling items ranging from baby toys and clothing, seasonal sports equipment, games and more for older kids. Click here for more details, photos and directions to the sale. We hope to see you there!